The gold mining industry in Lapland might cause more ecological problems than previously estimated. 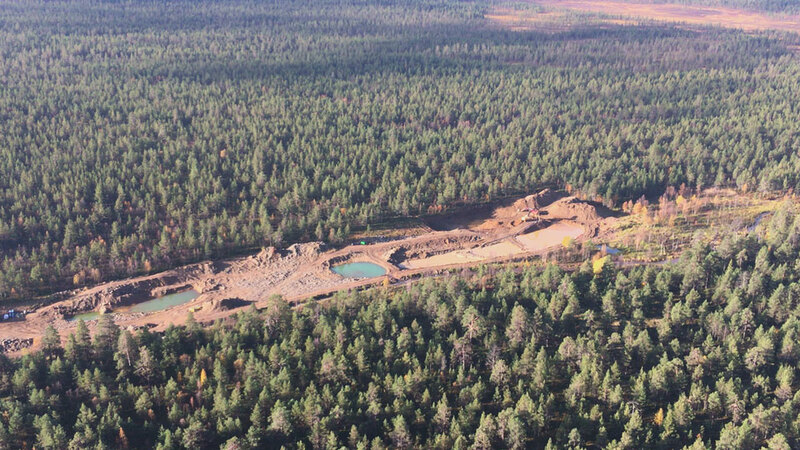 The Lapland gold miners’ association (Lapin Kullankaivajain Liitto) says extraction activities in the region cause only mild disruption to the local ecosystem. However, the Natural Resources Institute of Finland (Luke) says the association’s data are flawed because it does not account for the total loss over time of grazing lands used by reindeer. The gold miners’ lobby claims that the environment will revert back to healthy pasturage for reindeer 10 years after mining activity has ended. Luke says that estimate is far too optimistic, and that lichen-rich pastures take at least decades to recover from gold mining. Geologist Antti Peronius from the gold digging group counters the criticism by citing abundant summertime hay fields as fodder for animals. He also says that gold is mostly mined from parcels of swampland, with lichen-based areas accounting for just 5 percent of operations. Luke says the association’s claim of zero losses to the livestock industry is not realistic and does not account for the quality of the lands lost, or the time period over which the losses may accrue. The Institute’s report says the effects of human activities in addition to mining in and around reindeer pastures should be considered in financial loss estimates. The gold miners’ association also claims minimal reindeer deaths over 20 years – just one every four years – despite having no survey evidence to back their stance. Contrary to the association’s claims, Luke also says reindeer avoid gold mining areas, which causes disruptions in their habitual activity. The Luke report was commissioned by the Sámi Parliament to contest the gold miners’ memorandum on the effects of mining on reindeer husbandry. Sámi Parliament economic development secretary Sarita Kämäräinen says her organisation’s concerns over the traditional Sápmi region are echoed in the Luke report. Kämäräinen says the Sámi Parliament will use the Luke report as an aid in its work in economic development, justice and the environment. Luke will also send the report to decision-makers in Finnish government, to be referenced in gold panning permit applications. “We hope various officials will use this Luke report in their decision-making,” Kämäräinen.